This is a rectangular Michigan State Tourist and Resort Association porcelain sign. This particular Michigan State Tourist and Resort Association sign is white with black and yellow print. 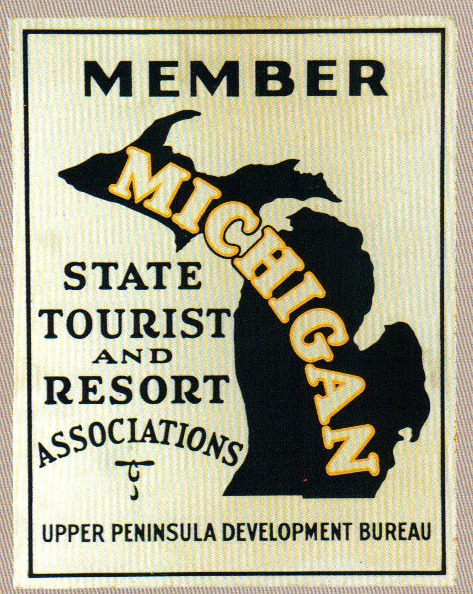 It reads, “Member Michigan State Tourist and Resort Associations, Upper Peninsula Development Bureau” and features the silhouette of Michigan in the center.